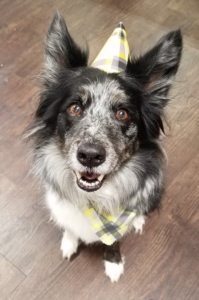 Want to help your dog have the best birthday ever? Give them a chance to celebrate at Wagging Tails! Our Birthday Club is free and comes with a Playday, bandana, and a birthday party! We celebrated more than 40 birthdays this month at our Eagan and Bloomington locations. Was your dog’s one of them? Visit our Photo Gallery to see all of the happy pups in our Birthday Club!